Who doesn’t love Italian men… I mean culture!? 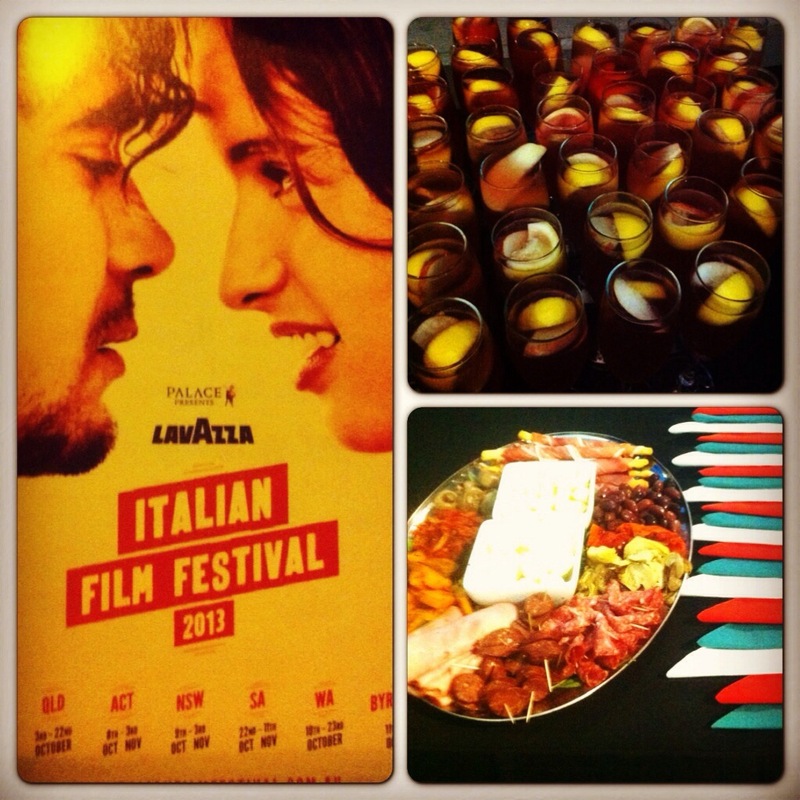 My fellow Italian Brisbane International Student Ambassador, Corey and I attended the Italian Film Fest Launch ℅ Yelp Brisbane! We arrived at the Palace Barracks and entered this roped off area. Soon after, we introduced ourselves to this sweet Italian gentleman who had married an Australian lady. They were so lovely. I always love hearing how married couples met and their story. The rest of the guests were also having small conversations while waiting for the event to kick-off. After a quick greeting, they brought out delicious antipasto, drinks, and delicious popcorn with napkins (serviettes) the color of the Italian flag. Then, it was show time. We watched Miele (Honey) that was directed by actress Valeria Golino who is known for her role as Susanna in Rain Man. The film is about a lady, Irene, who assists terminally ill individuals who would like to leave earth in a peaceful way. She is very respectful and serious about her work but her work also causes her internal conflict. Her detached state keeps her from having close relationships with others, including a lover and even her parents. The movie focuses on a client who requests her but is not terminally ill. I won’t share anymore because I want you to watch it! I really appreciate foreign films (or the ones I end up watching) because the issues and perspective are often worth pondering, discussing, and debating. I like that this film made me think more about euthanasia and also left it up to me to address the moral dilemma.